This flame-resistant jean fabric is fast wicking and drying, with superior abrasion resistance. The permanent FR and comfort properties will not wash or wear out, and the option to activate odor control is available. According to the manufacturer, the FR fabric is the first and only denim fabric of its kind. 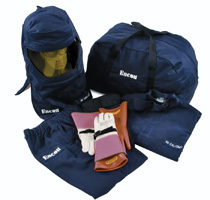 This kit of electric hazard exposure garments is lightweight and flexible. It contains an arc flash coat, bib overalls or pants, short coat or long coat and leggings, a hard hat, Class 0 electrical insulating rubber gloves, leather protector gloves, a glove bag, and a kit carry bag. The N-Ferno 6900 extreme warming vest provides warmth and flexibility by using nontoxic, nonflammable and weightless argon gas to insulate without added bulk. A relief valve controls warmth for the nylon stretch fabric. The vest is machine-washable, has reflective accents and includes three refill canisters of argon as well as a storage bag. The Draeger CPS 5900 fully encapsulated suit is specially designed to provide complete protection against hazardous gases, liquids and particles. The lightweight garment is made of Zytron 500, and each seam is sewn and hot-air taped to optimize the integrity of the garment. The suit is approved to NFPA 1994 standards. The KleenGuard A60 Bloodborne Pathogen and Chemical Splash Protection Coverall protects against many dry particulates and liquids, while providing enhanced comfort and durability. The coveralls are useful for light chemical splash applications, such as tank cleaning, fiberglass manufacturing and liquid handling. 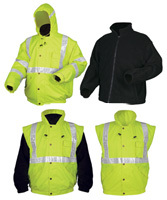 This fluorescent lime, high-visibility Class III jacket includes a zip-out fleece liner, detachable zip-off outer sleeves, a roll-up hood, adjustable elastic wrist closure cuffs, and 2-inch white Reflexite reflective material across the chest, over shoulders and around sleeves. It can be worn four different ways and is available in sizes L-4X. 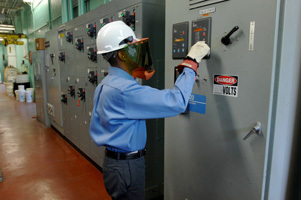 Targeted for petrochemical, utility, electrical maintenance and manufacturing workers, this flame-resistant apparel is one of the lightest 88/12 cotton/nylon FR fabrics to be recognized by Underwriters Laboratories Inc. for compliance with NFPA 70E HRC Level 2 electric arc, and NFPA 2112 flash fire standards for protective clothing. The level of protection provided by this fabric is 8.7 calories per square centimeter, one of the highest levels of protection at this weight. Constructed using advanced patented technology, the WeldX clothing line provides protection and durability. A blend of high-performance fibers, combined with a proprietary compound added to the material, enables the fabric to shed spatter, sparks, and other hot liquids and molten metal. 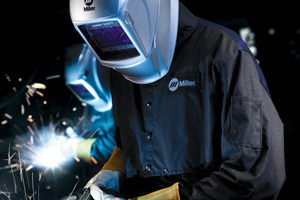 Even after intense exposure, flame-resistant WeldX maintains its integrity and continues to provide protection for welding applications. 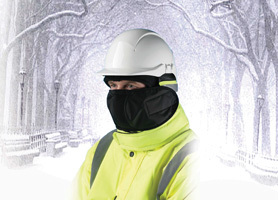 This cold weather hood system offers versatile protection against weather conditions from autumn to the coldest winter day, and is ideal for personnel working in cold food storage or outdoors in construction, mining or utilities environments. It includes a fleece helmet liner, waterproof frost cape in either high-visibility yellow or orange, and a face warmer. The PRO-WEAR Arc Flash Clothing Line is sold individually or in convenient kits, and provides protection for 8 cal/cm² to 100 cal/cm². All PRO-WEAR Arc Flash Protection Clothing has received CE certification. The clothing line comes in a variety of sizes. 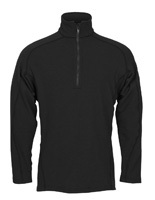 Power Grid flame-resistant shirts and pants provide maximum warmth to help cope with the most extreme cold. These garments are constructed of Power Grid four-way stretch fabric for enhanced comfort and range of motion. The unique grid construction maximizes warmth, minimizes weight and improves breathability. 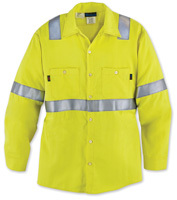 This patented garment made from Protera is lightweight and has flame-resistant 3M reflective tape. At just 6.5 ounces for shirts, the fabric provides the highest arc flash protection at the lowest weight available, according to the manufacturer. It also is useful for NFPA 70E HRC Level 2 tasks and certified to NFPA 2112. Pants and coveralls made from Protera also are available.